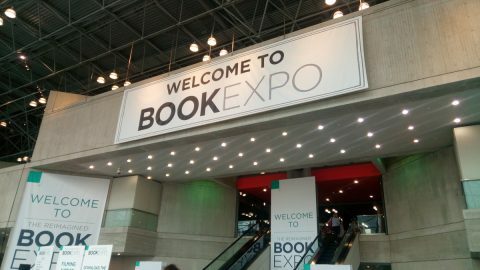 If you haven’t heard of BookExpo, it’s the ultimate book and author trade show in North America. 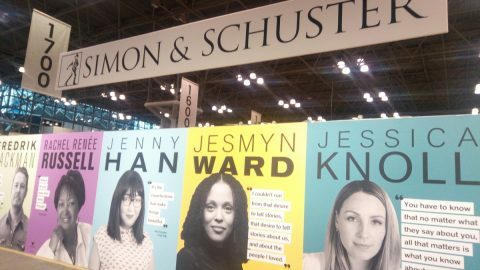 Publishers, booksellers, bloggers and book lovers descend upon the Javits Convention Center in New York to find out about the most exciting books and authors of the coming year. 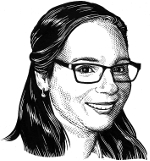 Readings, signings, panel discussions and other book-related talks abound, and there are a great many free books floating around for attendees’ reading pleasure. Plus, it’s always fun to meet up with new publishing folk–and some familiar faces, too. Yours truly had the opportunity to attend this year’s event—and it was fabulous! There was so much for a book lover like myself to see and do, so it was definitely a fun and enlightening trip. Here are a few highlights in photos. Immediately upon entering the Javits Center, you know you’re in the right place. 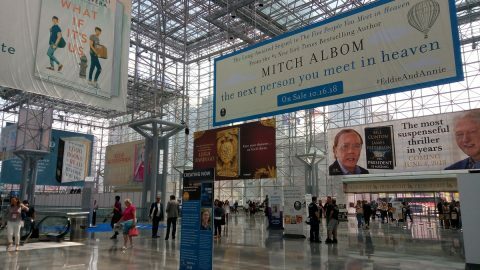 Massive bookish banners dominate the landscape. Get ready to enter the show floor! Inside, attendees vacillate between rushing to each special event and galley drop and moseying along to take in all the action. It’s nice to find a relatively clear lane from which to navigate the madness. Some exhibitors went above and beyond spending a fortune to create huge, customized booths. 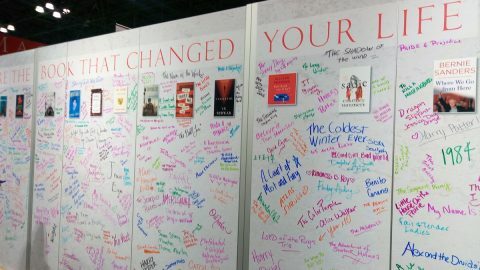 I particularly liked this idea to engage with book lovers. Good thinking to the folks at Macmillan! 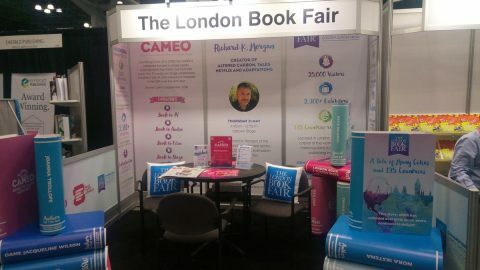 For me, the booth with the coolest furnishings was the London Book Fair’s booth. Those giant books looked fantastic! And there you have it! 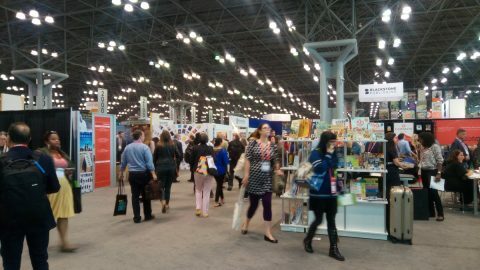 I hope you enjoyed this peek into what the giant bookish trade show actually looks like. Certainly the whole thing was lots of fun, and a fantastic excuse to visit the Big Apple! 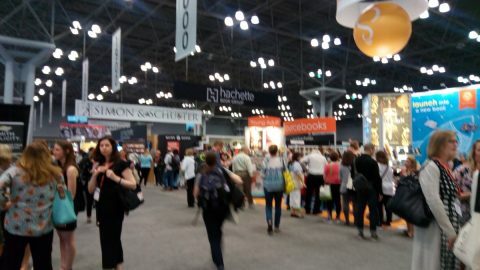 This entry was posted in Letters from the Porcupette (the Intern's Blog) and tagged book events, BookExpo, out and about with the quill. Bookmark the permalink.